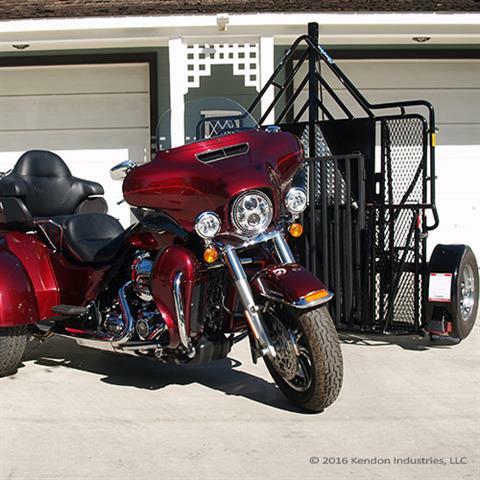 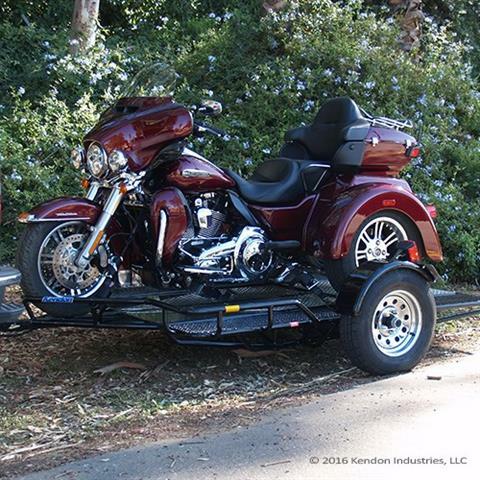 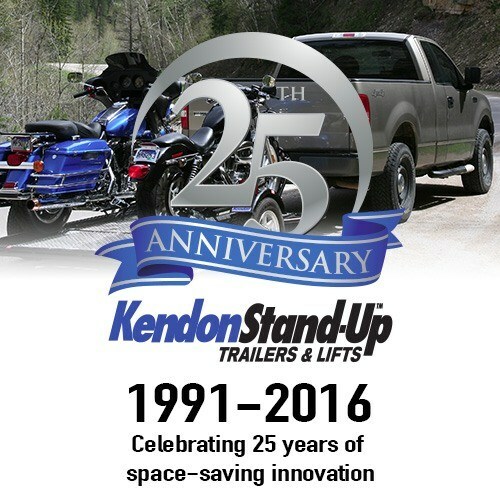 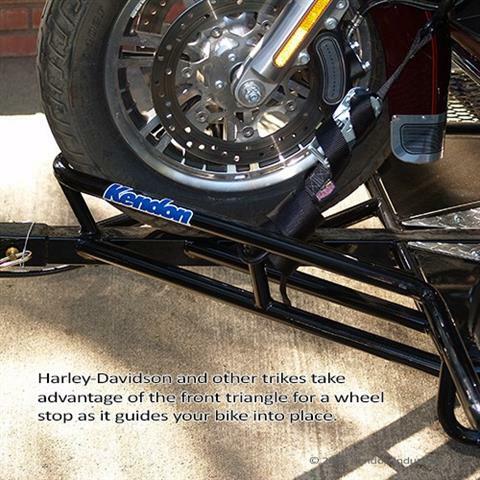 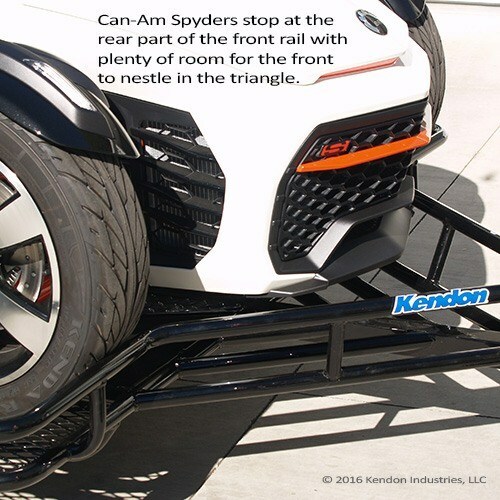 Introducing the brand-new Kendon Stand-Up™ Trike/Spyder/Sidecar Trailer. 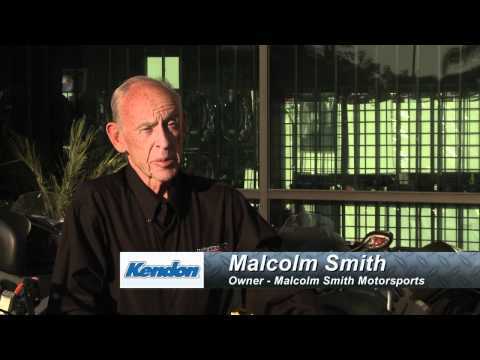 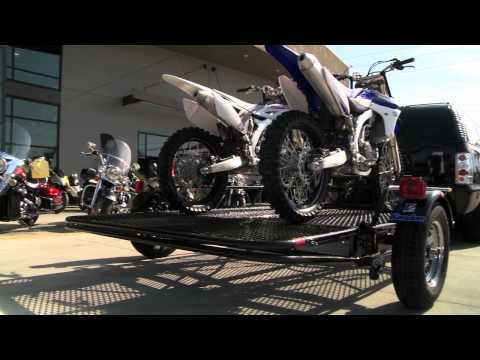 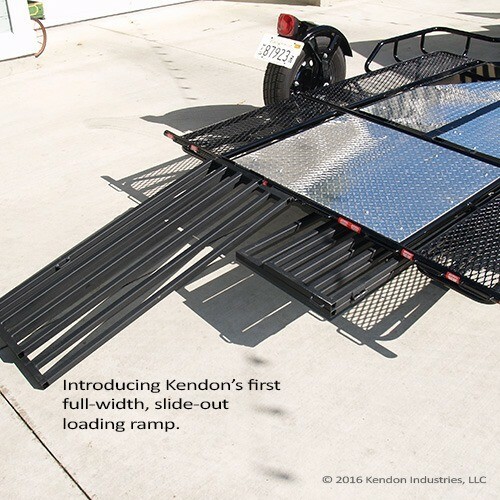 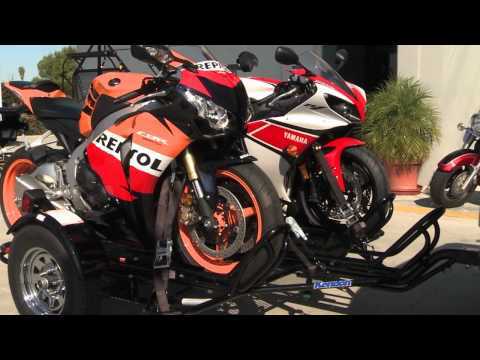 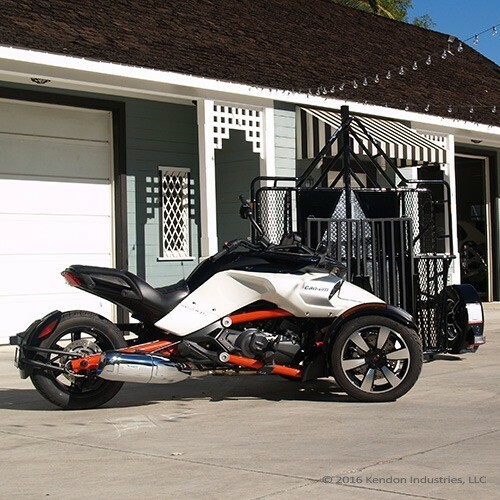 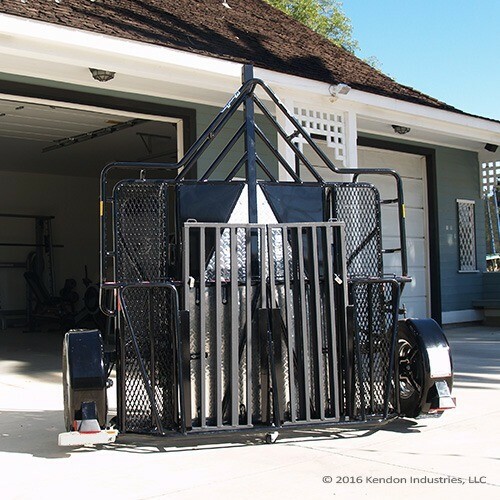 The newest addition to the Kendon line of legendary space-saving powersports trailers is specifically designed for your three-wheeled vehicles, including Harley-Davidson trikes, conversion trikes, Can-Am Spyders, sidecars, and almost anything else you can fit on it. 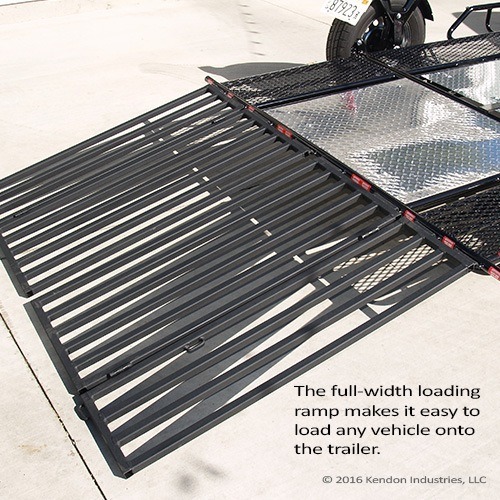 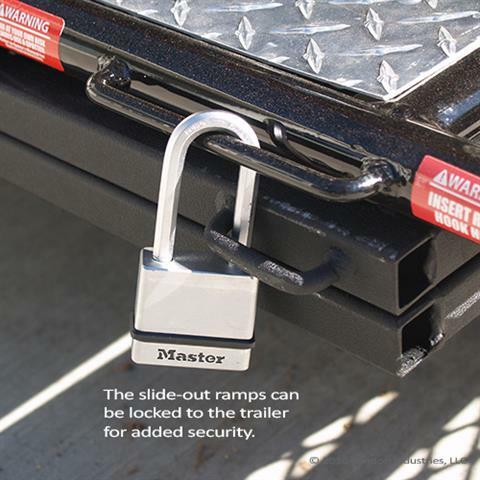 With ramps in extended position - 147 in. 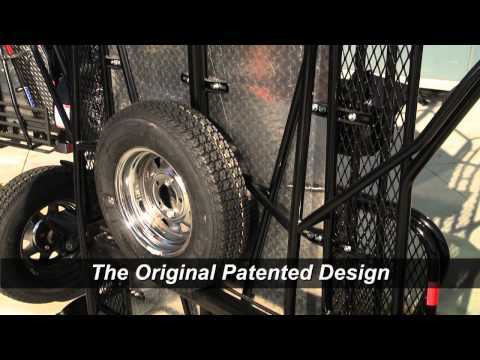 Deck / Platform Height - 13 in.